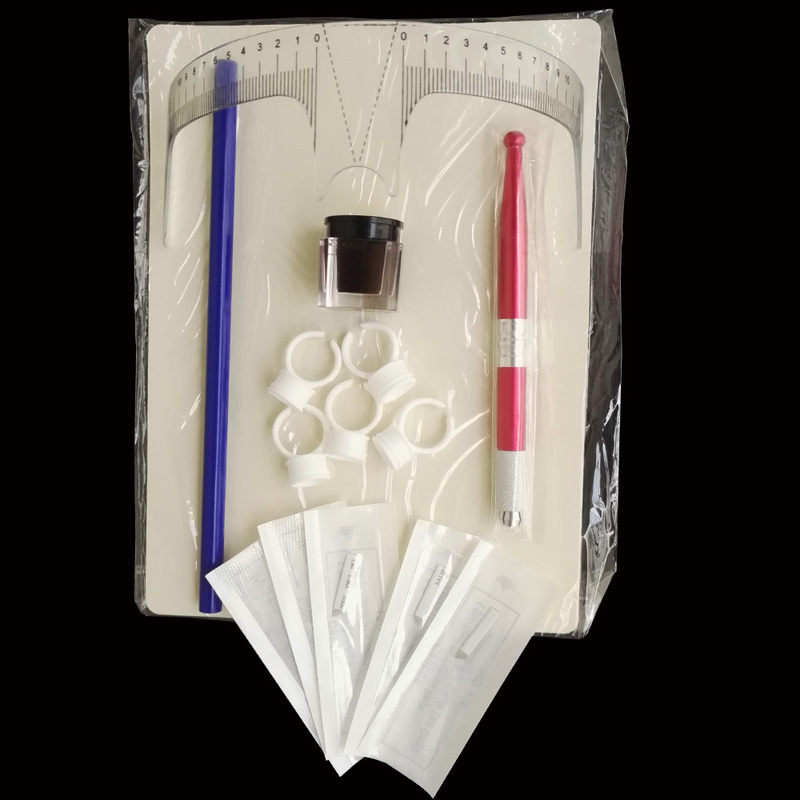 Microblading Permanent Makeup Eyebrow Tattoo Needle 3D Eyebrow Embroidery Manual Pen + Ink Glue Ring+ Pigment + 12 Needles Kit Package included: 1 manual pen,5 pieces 12 needles,5 pieces ink glue ring, 1 piece Deep coffee pigment. 1 pieces eyebrow positing pencil, 1 pieces practice skin,1 pieces caliper. This kit is used for the beginner to practice, we dont recommend for the real body eyebrow.